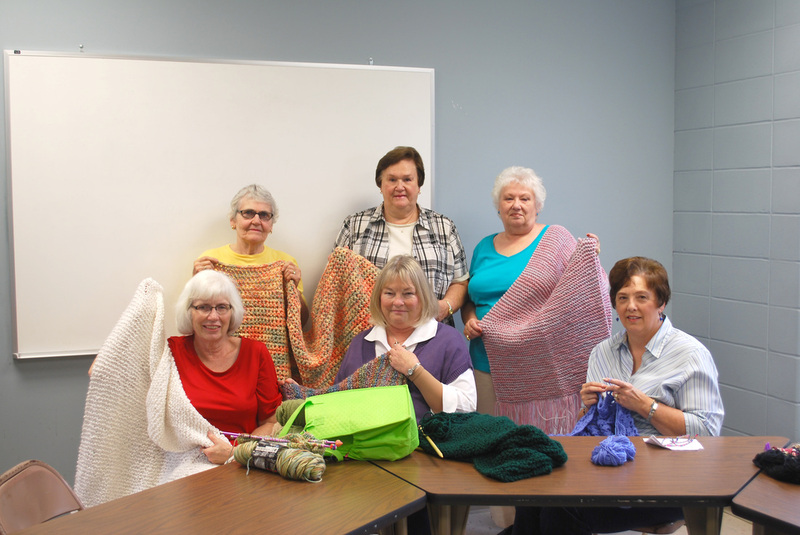 If you like to knit or crochet, or you would like to learn, come join us and we will teach you. We meet the second Thursday of the month (1pm to 3pm) at Panera's on Englewood Road by Hy-Vee on North Oak Street. We would also be happy to accept donations of yard, needles or hooks. Of course, monetary donations are always welcome. Please feel free to drop these donated items off at Fairview's office.